Unanimous vote. NO water slide park. 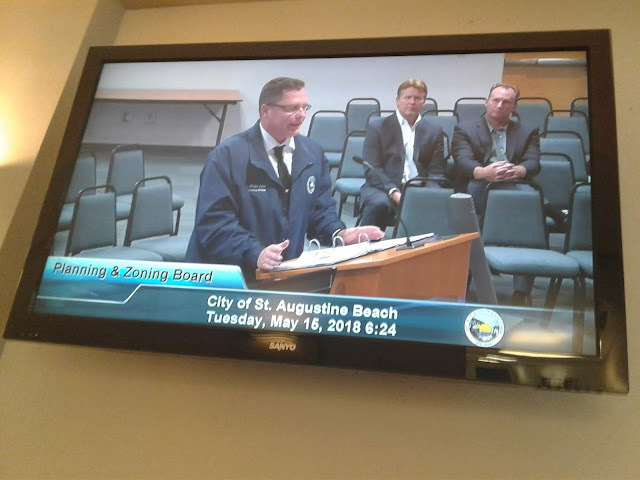 AKERMAN corporate law firm and KEY INTERNATIONAL corporate lackeys were sent packing by unanimous votes of all seven St. Augustine Beach Planning and Zoning Board members last night, May 15, 2018. The vote was unanimous: NO. 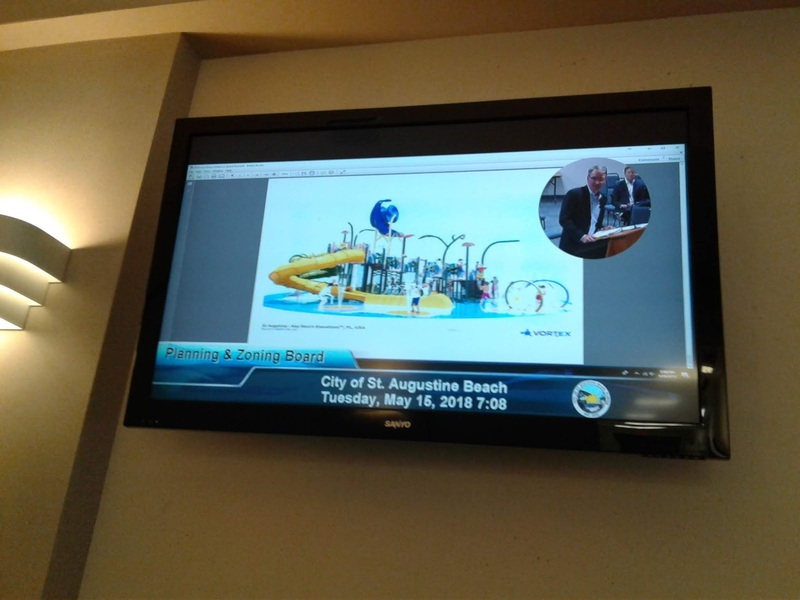 There will be NO Monstrous, obnoxious water slide park at St. Augustine Beach Embassy Suites Hotel, unless SAB Commissioners reject the vote. stumbled and bumbled in attempting to justify building a noisy 48 foot tall water slide at the massive hotel, being built next to Anastasia State Park and endangered species. falsely implied the $600,000 water slide park was inadvertently omitted, then said it was the result of a "focus group" by the DIEGO ARDID family in Miami. Then he said it wasn't a mistake. falsely claimed the $600,000 water slide park was a swimming pool. admitted that the $600,000 water slide park was part of something he called "Phase II," but never answered about the discrepancy in the number of rooms for the hotel between the St. Augustine Record's page one article on May 13, 2018 (212 rooms) and the number allowed in the development order (175 rooms), explained by City Manager BRUCE MAX ROYLE as being part of future plans in a "Phase II." 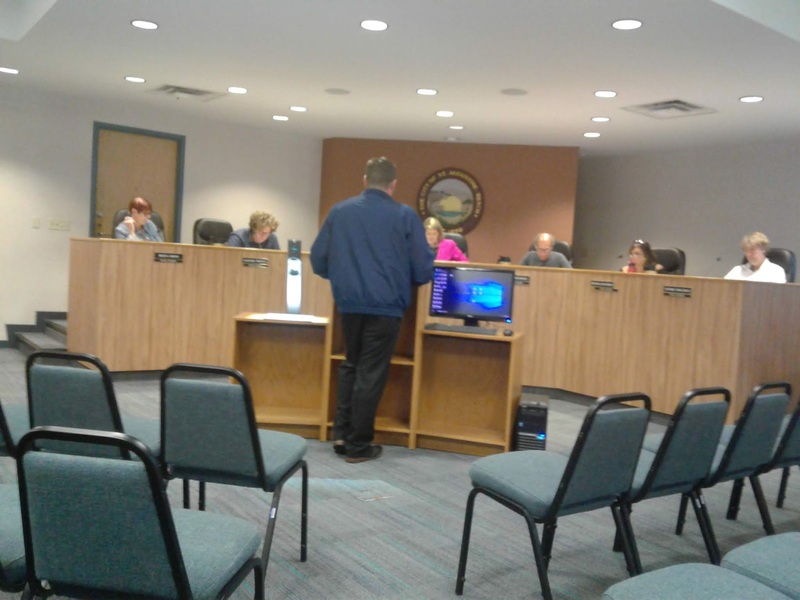 said "that's interesting," when one of the board members pointed out that "Embassy Suites" was misspelled on some seventeen pages of documents. took umbrage at audience members laughing at his misbegotten $600,000 water slide park and his irritating irrelevant prevarications and improvisations. PZB member members were not deterred by THOMAS INGRAM's illogic, or the tieless AKERMAN corporate lawyer's flummery, dupery, nincompoopery, tomfoolery and pettifoggery. PZB members were unimpressed by mendacious efforts of City Attorney James Patrick Wilson and Brian Law to help the ARDID family's AKERMAN mouthpiece to muddy the water,. PZB members all rightly agreed with Chair Jane West that the addition is not covered by the Final Development Order and must not be allowed. Three cheers for the PZB. 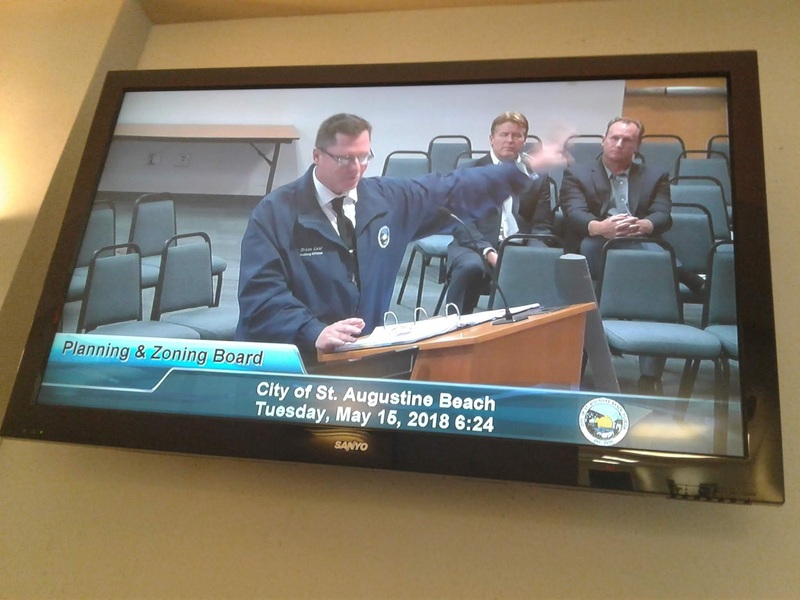 PZB is not unlike the "Little Engine That Could" at St. Augustine Beach, which knows the difference between a swimming pool and a water slide park (and right and wrong). 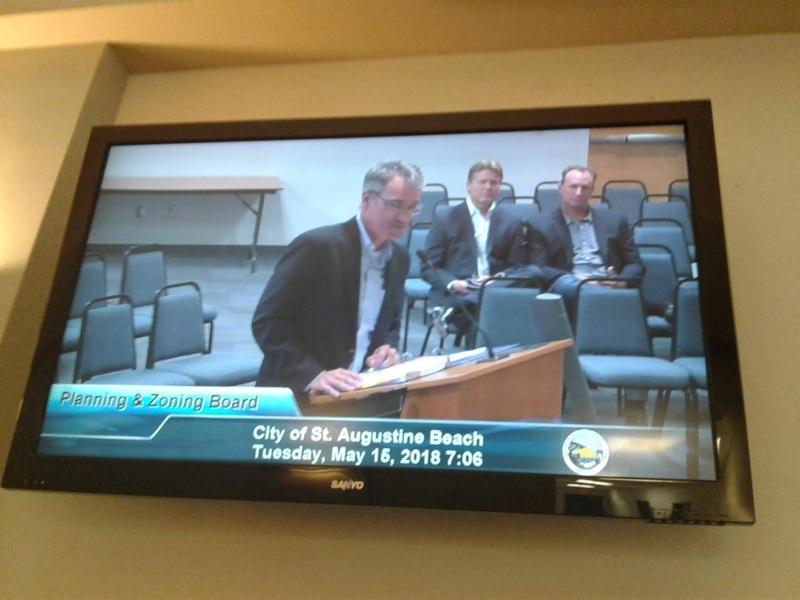 There was no St. Augustine Record reporter in attendance and no article in today's newspaper.